Ladies get in free at Ultra 88 tonight. Happy Hour on the shoreline will take you to Firehouse 12 on Crown St. in New Haven. From 4-7 p.m., enjoy complimentary hors d'oeuvres and unwind from the busy week with half-off drafts. You can't get a good meal for cheap anymore, but the Max Restaurant Group is giving diners a break tonight. Every one of the Max restaurants (Max Downtown, Max Amore, Max A Mia, Max's Oyster Bar, Trumbull Kitchen, Max Fish and Max Tavern) are offering a three-course meal for $24.95. Each meal includes your choice of soup or salad, entree and dessert. Feel like sassing it up? 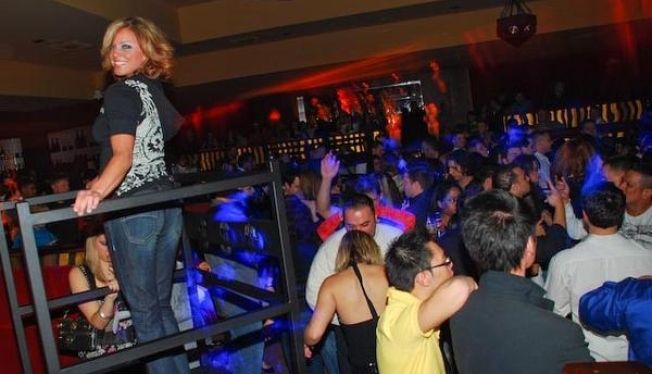 Then head on over the Mohegan Sun Casino for "Little Black Dress Night" at Ultra 88 Nightclub. The price is just right for ladies, FREE! And for guys its $10, but you'll be paying to see lots of women in little black dresses. It's worth the money, at least we think so. Party from 9 p.m. "til 2 in the mornin." House music not your thing? Then head to The Warehouse in Hartford. This club is gaining cred among young and old alike for its fantastic live music. Tonight, check out local favorite Max Creek, they'll play three sets starting at 8 p.m. Admission is $20 at the door.